Founding partner of Deepend and Poke, trustee of the Design Council CABE and an ex-D&AD President, creator of bespoke suit company Social Suicide and now Creative Director of Fray. 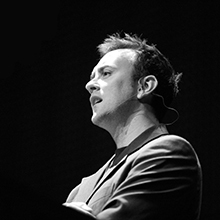 With a master’s in Industrial Design from the Royal College of Art, Simon Waterfall established the Deepend studio in London with partners Gary Lockton and David Streek in 1994. His passion for creative freedom and innovative ideas was the driving force that gave Deepend its distinctive creative approach. After the company went under with the dot-com bomb, he set up another company, Poke, with five partners. Established in 2002, it had two offices in London and New York. 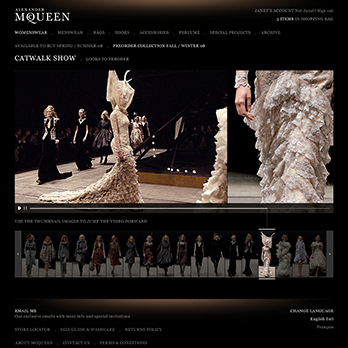 In 2006, Waterfall won the prestigious online award ‘The Webby’ in New York, for Alexander McQueen’s website. Poke won nine Webbies, in five years, more than any other UK company. 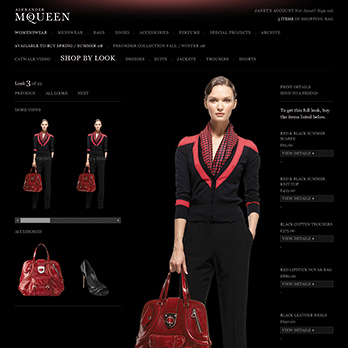 In 2008, Simon was awarded with the United Kingdom’s highest design honor – the Royal Designer of Industry. This award often referred to as the Queen’s 100 is in recognition of his life’s work in all design areas, he is the first digital RDI to be recognized. In January 2010 he started his new company Fray, ‘to defend creativity’. Fray is set up to work inside and outside clients and partners problems, to find a progressive and honest way to connect the many moving parts that are needed to inspire, unite and promote cultural and creative design.